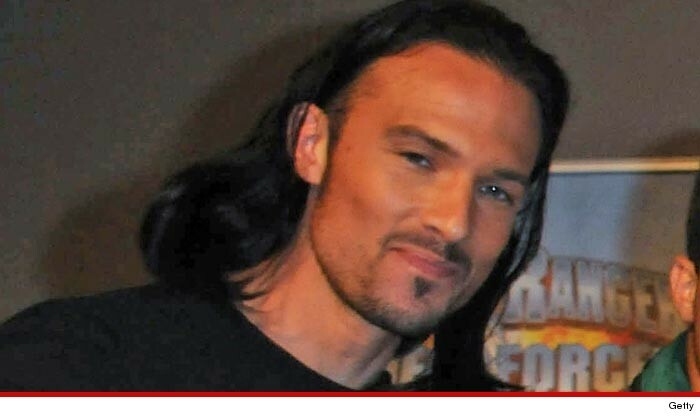 Ricardo Medina Jr. -- the former Power Ranger arrested for stabbing his roommate to death -- is about to walk free ... while cops investigate and prosecutors decide whether to charge him. The L.A. County D.A. 's Office declined to charge Medina -- for now -- and instead asked Sheriff's investigators to dig for more information about the fight that ended with Medina fatally stabbing Joshua Sutter with a sword. Prosecutors had to release Medina now because they're not charging him with a crime yet. Law enforcement sources tell TMZ ... Medina is claiming he acted in self-defense. As we've reported ... Medina told cops Sutter forced his way into his bedroom before the stabbing. The question for investigators -- would stabbing an unarmed man constitute self-defense? We're also told investigators are waiting for toxicology results on Sutter to determine if he was under the influence of any drugs or alcohol.